We thought that 2016 would be the last Olympics for 28-time Olympic medalist Michael Phelps, but now he’s announced he will be training for 2032. 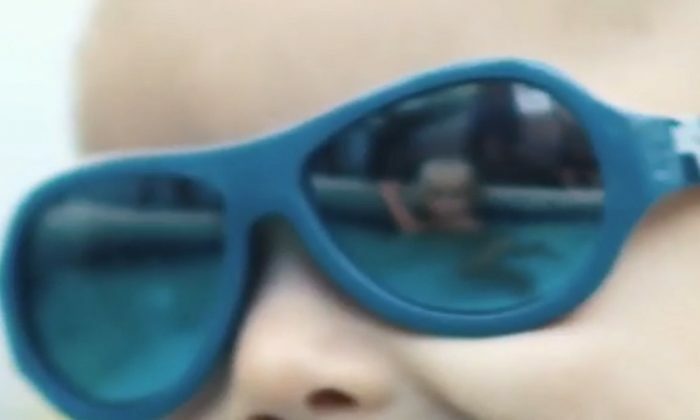 “Not me, I’m training Boomer [Phelps’ son] and all the babies around the world to be the best swimmers that they can be,” Phelps said in a commercial for Huggies Little Swimmers. Phelps, 31, appeared alongside his wife, Nicole, at a fake press conference in the commercial. One-year-old Boomer, who was born last May, took part in the press conference by eating the windscreen on the mic. A fake reporter asked Boomer if he looked forward to training with his dad, to which he made a loud, inarticulate noise. “I hope that’s a yes,” Phelps said. The ad was an initiative by Huggies to promote safe play for babies in the water. Phelps said in a press release for the campaign he’s not teaching Boomer to master the butterfly just yet, so “#Trainingfor2032 includes safe water play that helps build comfort and confidence in the water.”. Phelps told People that Boomer loves being in the water and doesn’t mind going under or lying on his back.